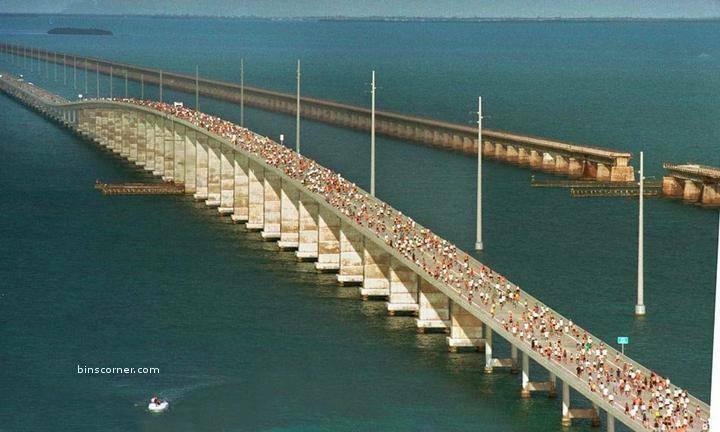 The Seven Mile Bridge Run is Saturday morning. It will impact traffic both north and south for 2 1/2 hours at the bridge. Travelers should plan to be across the bridge by 6:30 a.m. to avoid being stuck on one side or the other. Traffic flow will resume at 9 a.m., but usually takes at least an hour after that to get back to normal flow. 10 a.m. to 2 p.m. Traffic may be slow during those times.